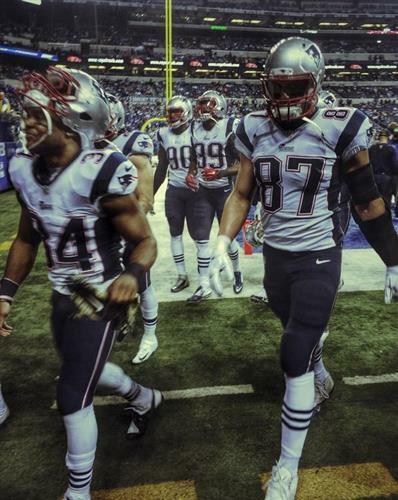 The Patriots travel to Lucas Oil Stadium for their Week 9 matchup against the Colts. Follow along here for live updates of the game, including commentary and analysis from Boston and Indianapolis. 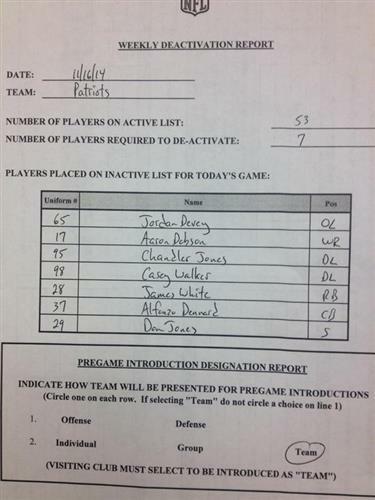 WR Aaron Dobson; RB James White; S Don Jones; CB Alfonzo Dennard; OL Jordan Devey; DE Chandler Jones; DL Casey Walker all inactive for Pats. Don Jones is a surprise inactive. Had been playing really well on special teams. Definitely RT @BrianGoulart : @BenVolin Did Butler jump over Dennard on depth chart? Malcolm Butler happened. and Butler plays special teams. RT @TheRealDonLobo : @shalisemyoung what happened to fonzie dennard? I think we all had the Cardinals at 9-1 at this point, right? Christopher Walken as Captain Hook?! Oh man, this is going to be good. Vince calls tails. Coin toss comes up tails. Patriots win the toss, elect to defer. 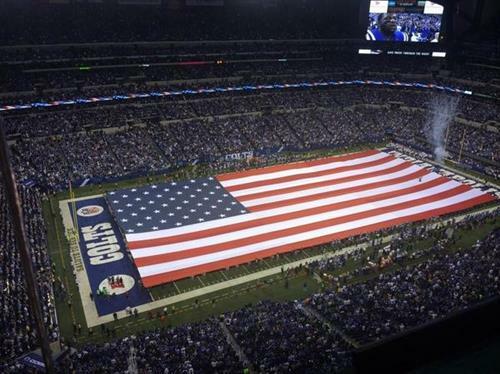 Colts will get it to start. 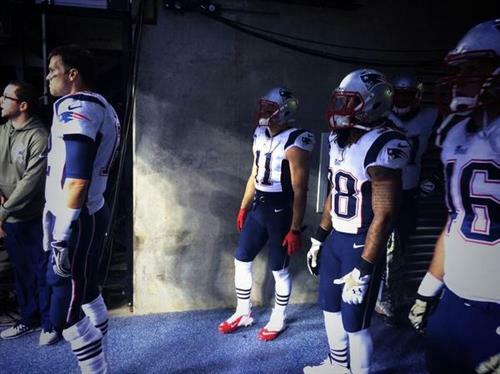 #Patriots win the toss and defer. Lather, rinse, repeat. 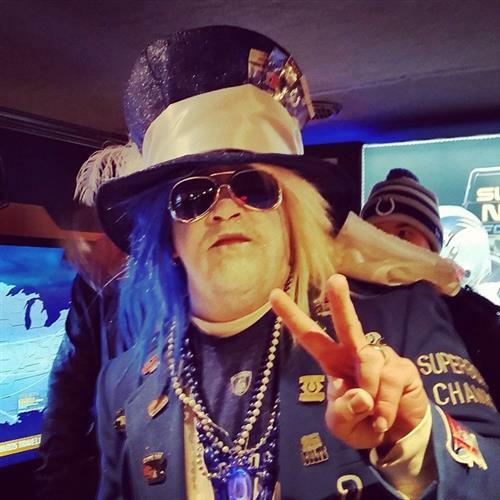 Even Colts fans know. RT @ColtsAuth_Kyle : Patriots deferred the toss. Nerves intensify. That was a painful drop by Tyms. two offenses trade 3-and-outs. Jonas Gray running with a purpose. James Develin with a nice block. Gronkowski with an incredible block out in front. Got him moving before the play started, which helped him get out there. Hey, let's completely dominate the other team physically. Nice way to start. Jonas Gray with his first career @nfl TOUCHDOWN! First career TD for Jonas Gray from four yards out. Pats take early lead. Jonas Gray running hard against this soft #Colts run defense.